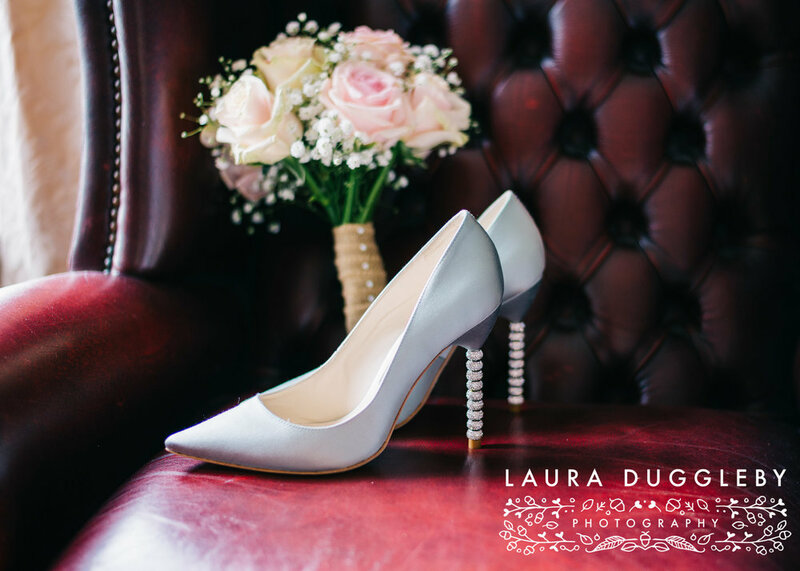 Higher Trapp Hotel Burnley Spring Wedding - Ribble Valley Wedding Photographer. Chris and Lianne got married at the Higher Trapp Hotel in Simonstone on an exceptionally hot spring Saturday! 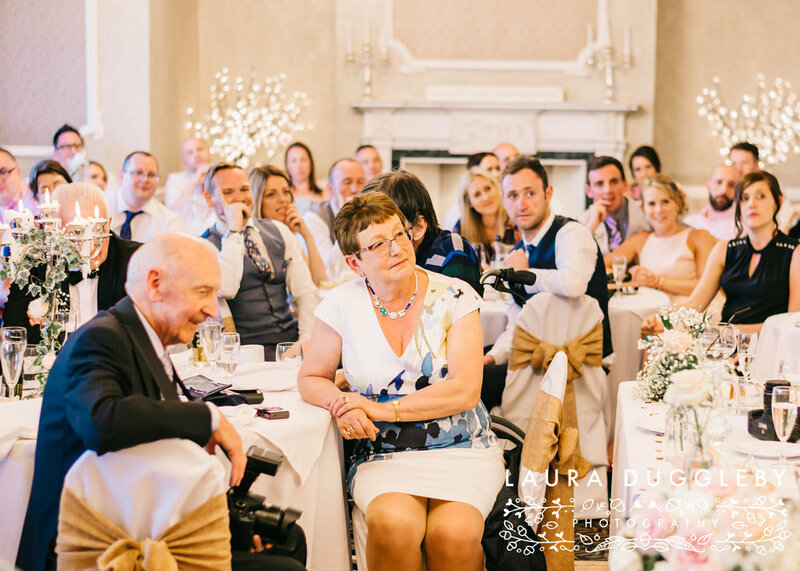 The Higher Trapp is a gorgeous venue and has large landscaped gardens which are perfect for group formals and portraits. 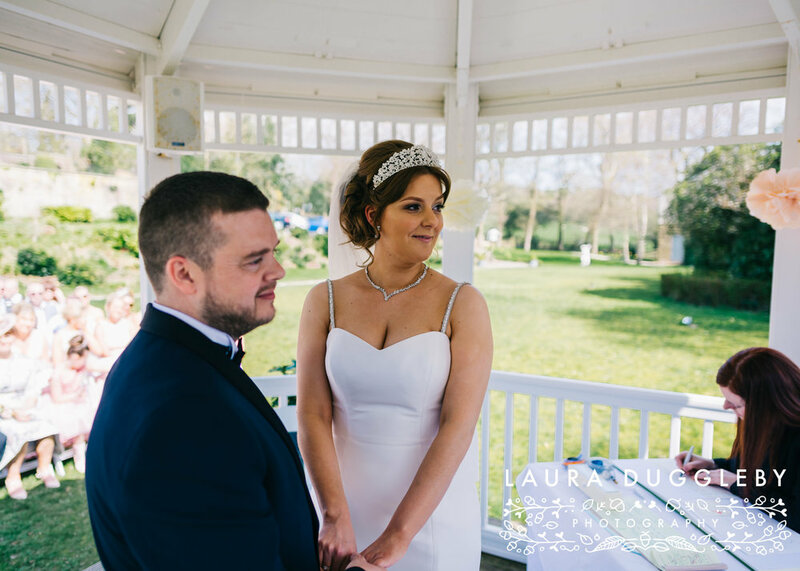 The Higher Trapp Hotel in Burnley also provides the perfect backdrop for outdoor ceremonies which Chris and Lianne chose for their big day. 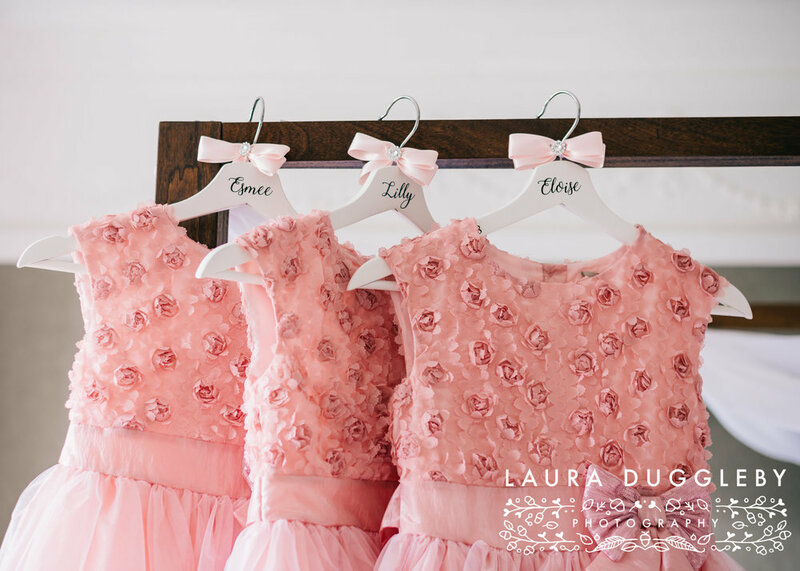 The theme for the wedding was pure elegance, all the groomsmen in black tie and the bridesmaids in pink. I met up with Lianne and all her bridesmaids in the bridal suite, the atmosphere was buzzing and everyone was so excited for the wedding. Chris had sent a surprise gift for his bride to be which was a gorgeous red heart charm. 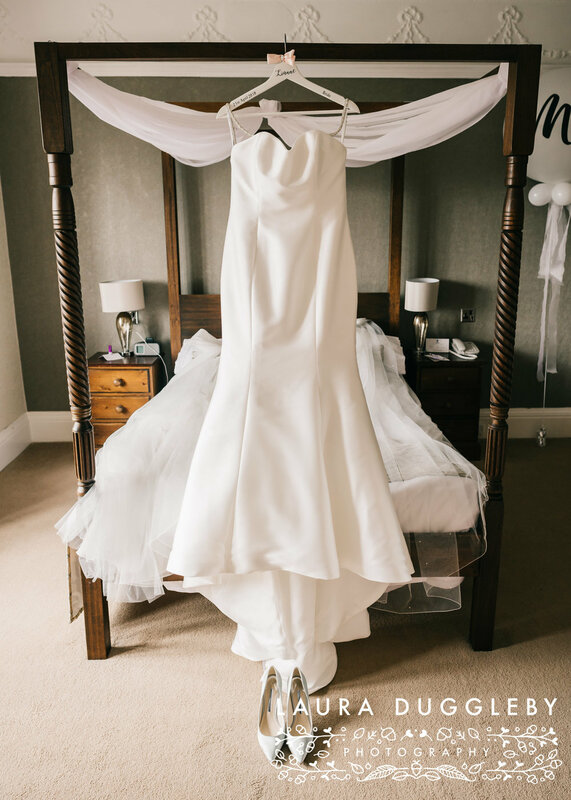 With bridal preparations in full swing I took the opportunity to take some pictures of Lianne's stunning wedding dress which was from Cheadle Bridal, the bow detail on the dress really transformed the dress and it was gorgeous to photograph. 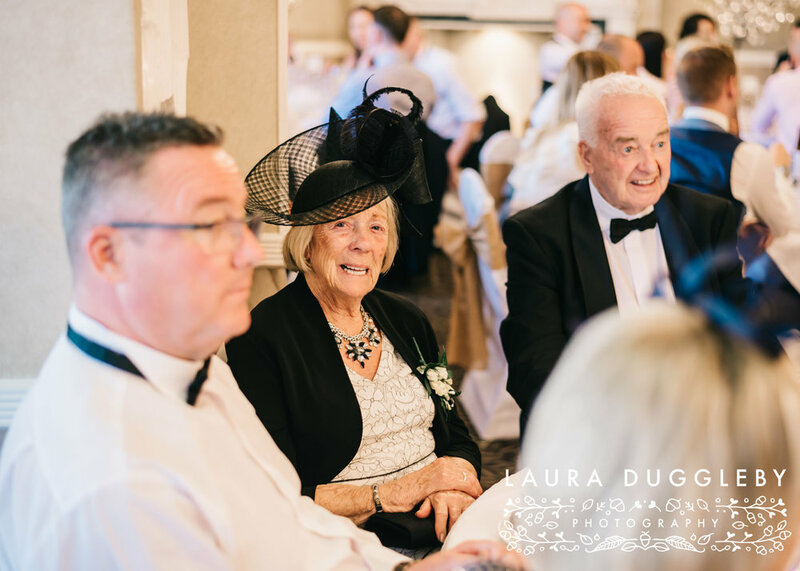 Chris arrived with his groomsmen wearing full black tie from Suits Direct and welcomed all his family and friends whilst waiting for Lianne to make her arrival down the aisle. 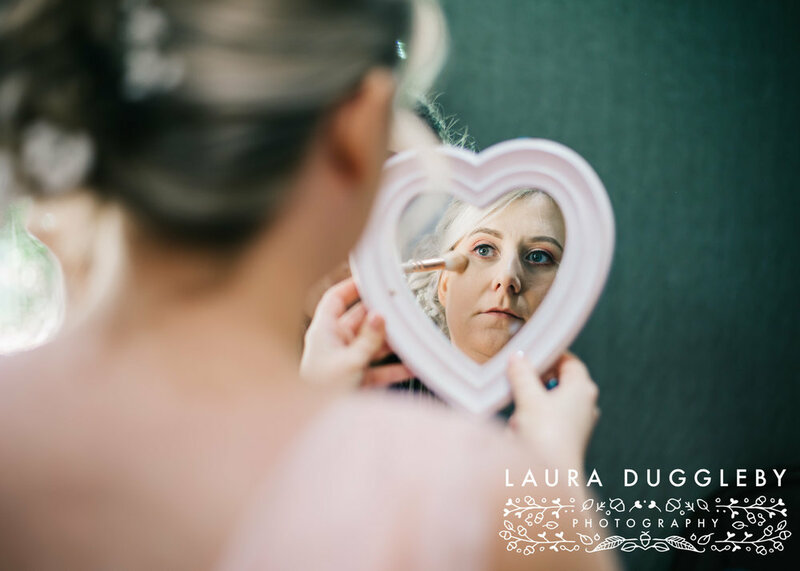 I truly love this part of any wedding day, the big reveal, the first look, first smile, first tear as they see each other, it truly makes me smile and is one of the many reasons why I love being a Lancashire wedding photographer. 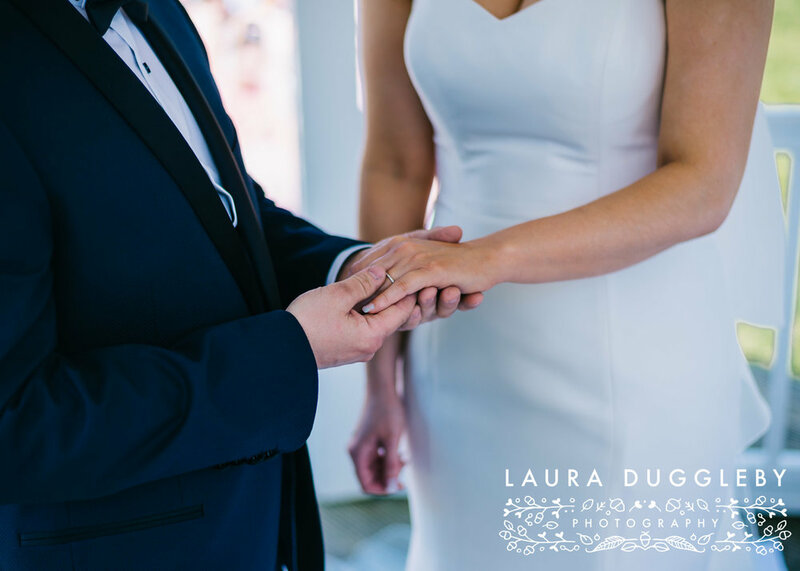 Once Chris and Lianne had exchanged vows and sealed their marriage with a kiss, it was time to celebrate!! I whisked Chris and Lianne away for some portraits, before they enjoyed their wedding breakfast meal and welcomed their evening guests. 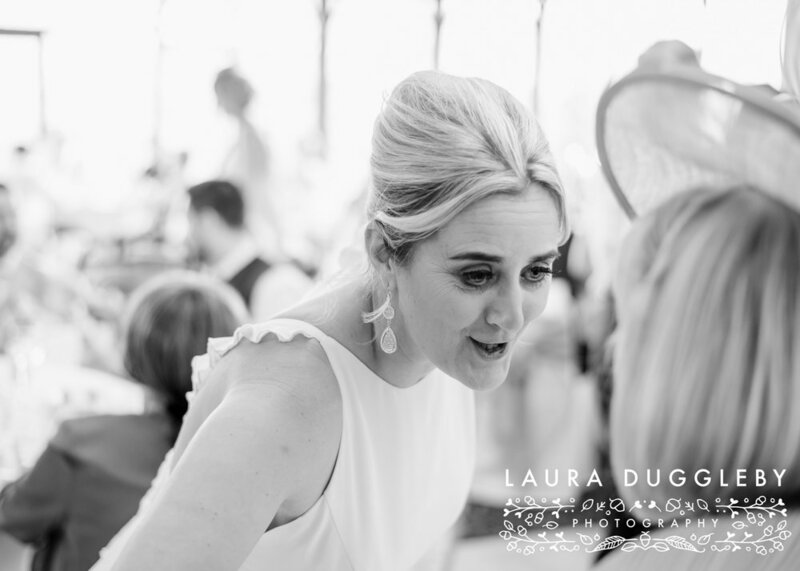 This wedding was pure elegance from the gorgeous outfits to the stunning intricate detail on the wedding cake and beautiful colours of the bridesmaid dresses and I loved being a part of it. 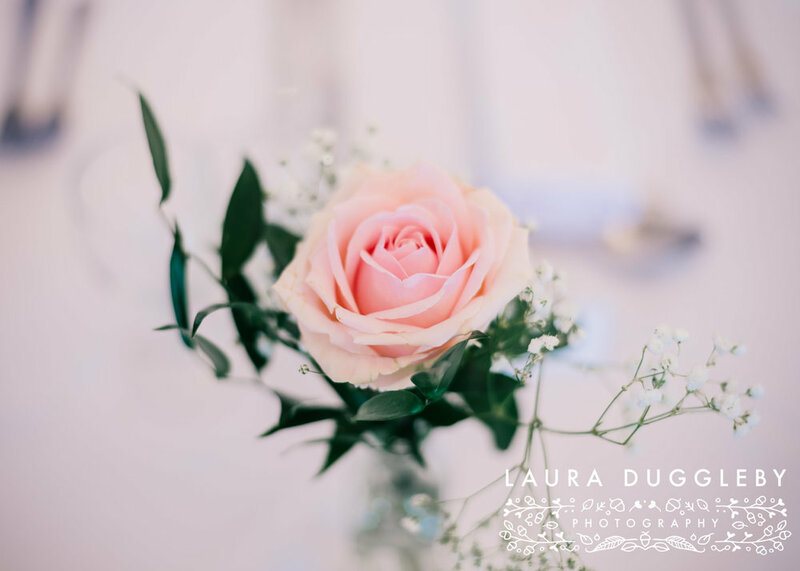 Ensuring the day went as smoothly as possible were all the amazing suppliers and a big shout out to my second photographer for the day, Jane from Daisy Chain Photography. All my favourite memories from the day are captured below, enjoy!